The tracks themselves are simple strips of wood, cut and assembled by hand onto a nylon belt. 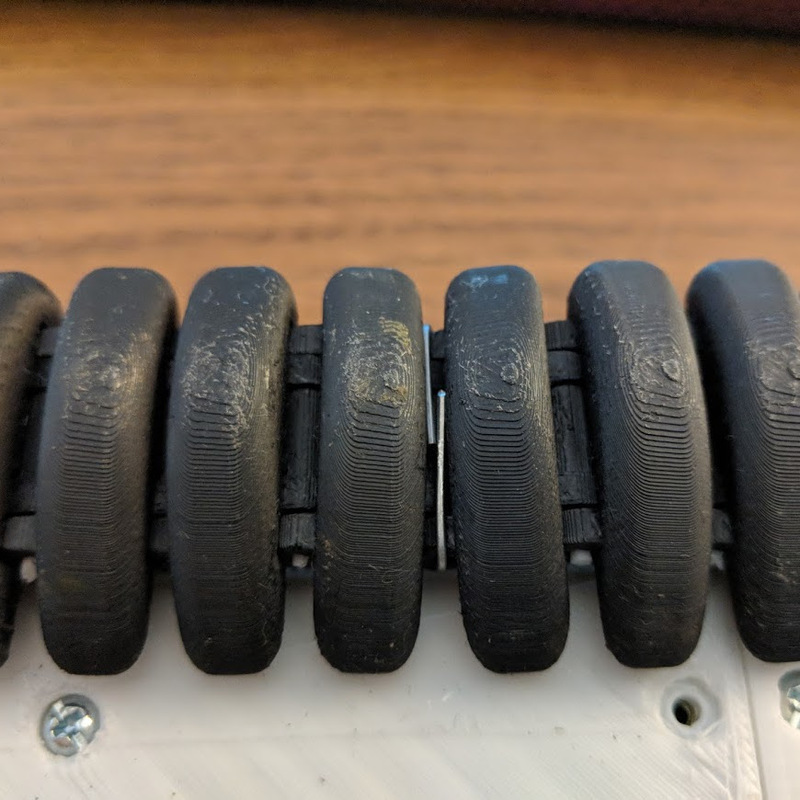 Meanwhile the track wheels and drive assembly are designed in CAD and cut with a CNC router from some plywood, a great choice for adding some precision to the most mechanically challenging part of the build. As always in [Peter]’s videos, a large portion is dedicated to testing – in this case with a rather large array of fireworks. We certainly wouldn’t want to be in his bad books considering his other souped-up weapons. A small, hacked, novelty electric vehicle? Sounds like it would find some good friends at EMF Camp, especially at the Hacky Racers event. There is probably something in all of us that yearns to drive a tank, just once. Most of us will probably never fulfill it, in fact, unless we work in farming or construction we’re unlikely to even drive a skid-steer vehicle of any type. But that doesn’t mean we can’t have a go at building one ourselves, as [samern] is doing with his Hackaday Prize entry. The GoKart Tank has a chequered history, as a build that started as an internal combustion go-kart, became a half-track, and eventually the fully tracked electric vehicle we see today. It has a wooden frame, two 1KW electric scooter motors, and tracks made from IntraLox modular plastic industrial conveyor belt parts. This last choice is particularly interesting because even though it isn’t designed for use as a track it is designed for heavy-duty service and could offer a component source for other tracked vehicle projects. What you see is a working tracked vehicle, but it is not without problems. The electric motors are only powerful enough to move a child, so there are plans to return it to internal combustion power. We can, however, see it working, as you can watch the video of it we’ve put below the break.